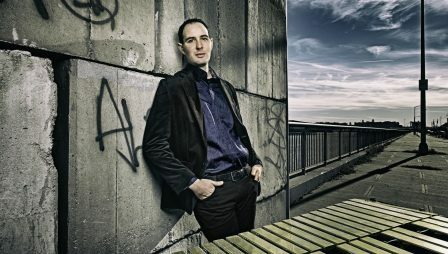 For the past decade vibraphonist and composer Tyler Blanton has garnered notice as rising star in the New York Jazz scene. Known for his distinctly lyrical and nuanced sound on the vibraphone, Blanton has been praised as „an heir to the swinging and melodically charged throne of post-bop masters such as Gary Burton and Bobby Hutcherson.“ Blanton has toured the US, Europe, and Asia both as a leader and as a featured guest artist and received press from the NY Times, Jazztimes, Village Voice, Hot House, LA Times, and Downbeat Magazine. His third record as a leader, „Sense of Place“ is due for release in Spring of 2019 on Destiny Records. This tour will feature Blanton in the company of a stellar band consisting of pianist Jon Cowherd, drummer Paul Wiltgen, and bassist Matthias Pichler, with whom he has long standing musical ties.